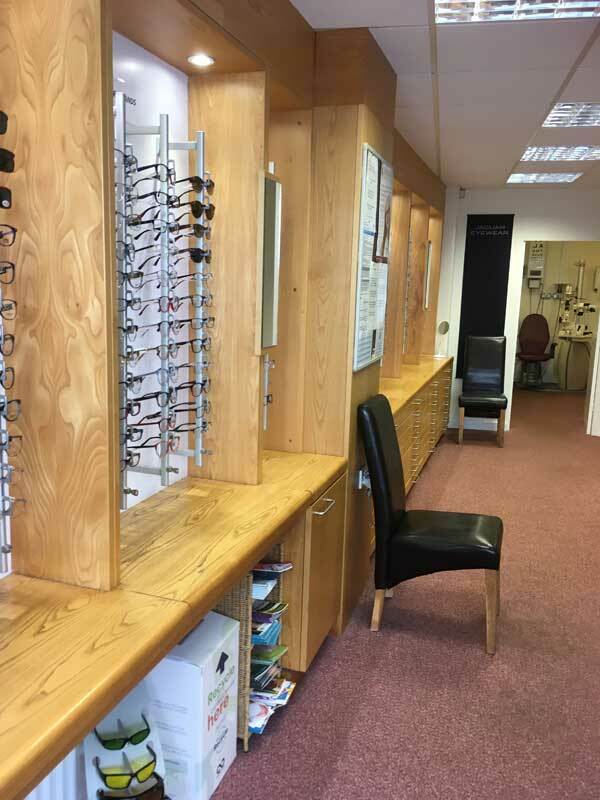 Whether it’s something simple like a pair of new glasses, or something more specialised like an illuminated magnifier, we’ll be happy to help..
A wide variety of spectacle frames, contact lenses and low vision aids are available . 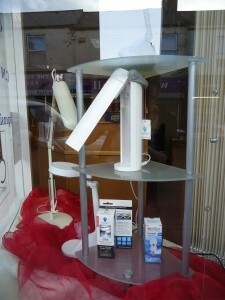 We also stock a range of daylight lamps and bulbs and can offer advice on lighting. Our knowledgeable staff are readily on hand to discuss any queries you may have regarding our services. We can supply contact lenses from a wide range of manufacturers. 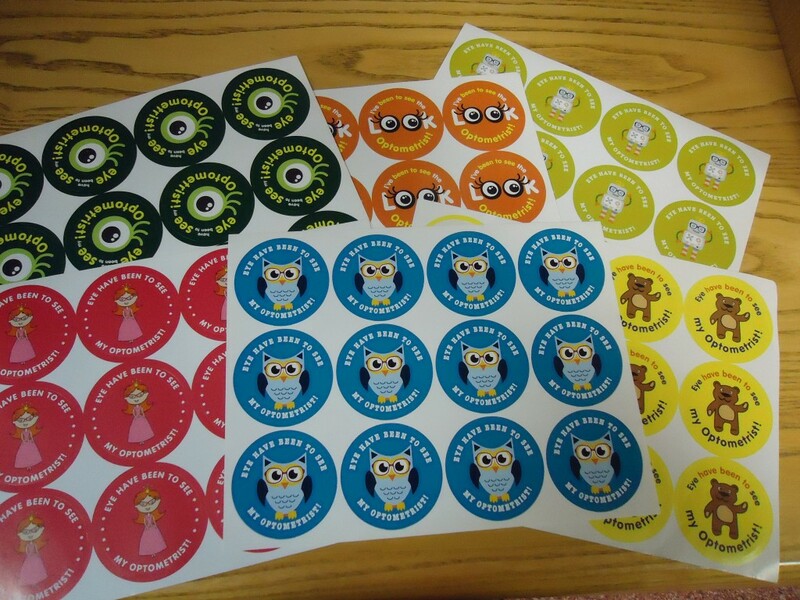 Monthly Lenses start from £16 per month or £22 for torics. Daily lenses from £26 per month. 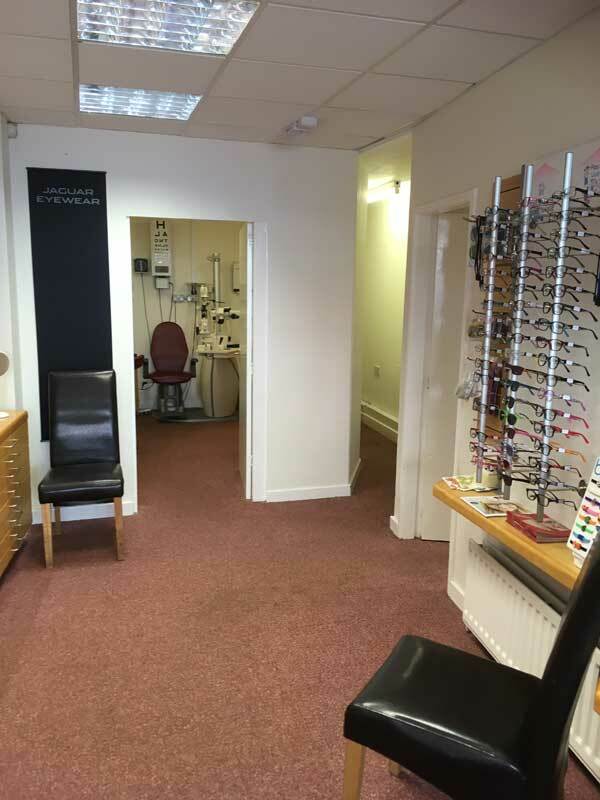 The prices include solutions, aftercare (contact lens checkup) and eye examinations (sight tests) as required. You can choose to ‘Pay as you Go’ or by monthly standing order. Even as a regular contact lens wearer it is important to have up-to-date spectacles for days when you can’t or don’t want to wear your lenses. If you pay by standing order we offer half price spectacle frames and 20% off spectacle lenses. We offer a free trial of contact lenses as long as you have an up-to-date spectacle prescription. Please call into the practice for advice or more information. 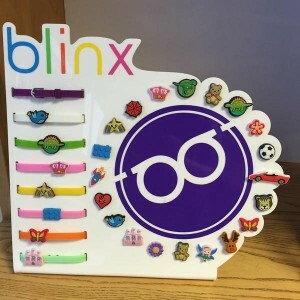 Children should have regular eye examinations. This is provided free by the NHS up to age 16 or under 19 if in full time education. We advise a child should have their first examination before they start school, , even if you think there is nothing wrong. This ensures any problems are picked up early. 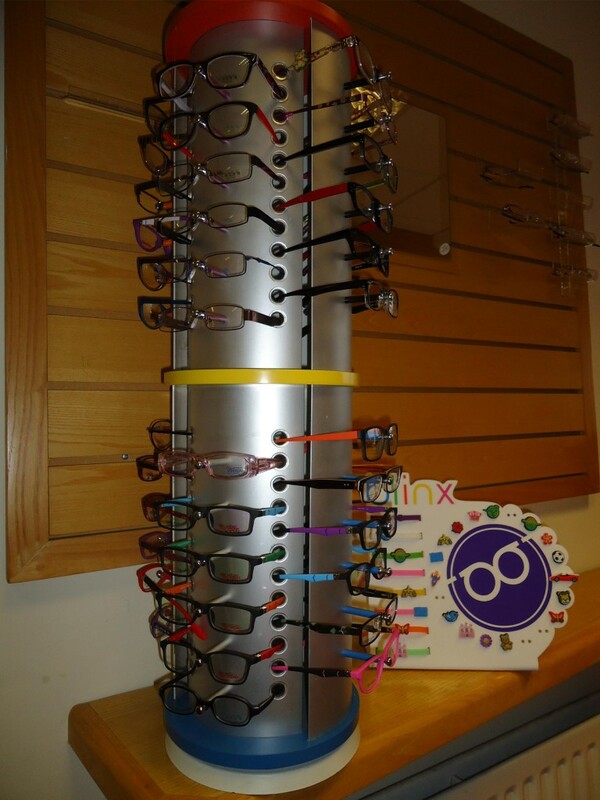 Frames can be customised with Blinx charms- which can be purchased for £1.99. We pride ourselves on being a family friendly practice. We can offer after school or weekend appointments and also run children’s days in the school holidays. We provide drinks, snacks and activities, which we hope encourages children to be relaxed and confident when attending for their examination. If your vision is not correctable with glasses or contact lenses then you may have low vision. This can be caused by conditions such as age related macular degeneration (AMD), diabetic retinopathy, glaucoma, cataract and others. Sylvia Bailey has worked at the Low Vision Service in Gateshead for 15years and has a special interest in Low Vision. Catherine Reid has attended specialist training courses in Low Vision. Both are very understanding of the difficulties you may face if you have low vision and will be happy to offer advice. The practice stocks a range of lamps, bulbs and magnifiers which can be helpful. We can also advise on prescription leisurewear such as swimming goggles, sports frames, diving masks, snooker specs and airwear lenses for contact sports. Frames on Faces technology is available to help you decide which frames will suit you best. The latest thinner lens designs, coupled with smaller frame styles, can mean that your new spectacles will be lighter and more comfortable than ever before. Combine this with anti-reflective coatings on the lenses, and your new spectacles will look great too! Unattractive and troublesome reflections from lens surfaces are eliminated. Transition lenses react to ultra violet light. 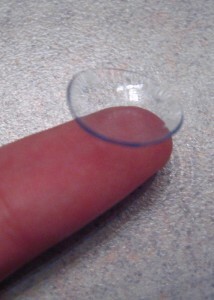 These lenses darken in seconds and may help to protect against conditions such as cataracts and macular degeneration. The new generations of these lenses are even better than previous ones. Available in most lens types. For drivers the new Changers Rx lens even works behind the windscreen. Advances in technology mean that you no longer have to be seen with the ageing lines of bifocal lenses. Varifocal lens designs have been developed to suit almost everyone. Lifestyle is taken into consideration as are frame designs. Selecting the correct lens can make your glasses look and feel so much better.